How is “Typical Aging” Different from “Warning Signs” of Dementia? There seems to be a blurred line between “getting old” and early warning signs of dementia or Alzheimer’s. 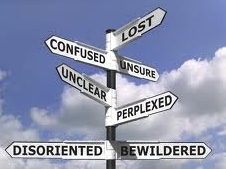 When does forgetting a word more often become a “problem” or a warning sign of more profound changes? At the Alzheimer’s Association, we have a list of “10 Warning Signs” that we use as a guide to see if a visit to a physician may be needed (for more information, visit http://alz.org/alzheimers_disease_know_the_10_signs.asp). When I talk to people about these warning signs, many of them say “Oh! I have all of these… does that mean I have dementia? ?” Not to worry, yet! These warning signs are just a hint that it may be time to go visit a doctor and talk about the symptoms you are facing. A lot of people don’t realize that there are reversible types of dementia, such as thyroid issues, that may cause some of these symptoms. Going to talk to a doctor can determine the cause of these symptoms and some may actually be reversed. A lot of these “warning signs” seem like typical age related changes. However, there is a difference between forgetting where you parked your car and finding it a few seconds later (typical aging) and not remember what car you have (a warning sign of dementia). Another example is confusion with time or place, again, there is a difference between thinking it is Friday when it is actually Thursday (we’ve all done that!) but remember it is Thursday a few minutes later, versus thinking it is Summer when it is actually Winter (warning sign). Where do you think we draw the line between “normal” aging and the beginning signs of dementia? Even though we have these outlined signs, it may be difficult to tell. When it doubt, I say talk to your doctor about changes so they can be recorded and monitored in the future. Our Guest Blogger this week is Krista Dunn, MPH, Galveston/Bay Area Outreach Coordinator for Alzheimer’s Association Houston and Southeast Texas Chapter. Join us for a real-time discussion about the questions raised by this essay on Tuesday from 12:00 p.m. to 12:45 p.m. See Discussion and SL tabs above for details. Link to the virtual meeting room: http://tinyurl.com/cjfx9ag. I’m Confused? Dementia vs. Alzheimer’s? What’s the Difference? Coming from a non-clinical background and working around health care providers forces one to learn medical terminology whether one wants to or not. I am often forced to look up terms, so that I can understand what is going on. This week, I wanted to know what the difference between dementia and Alzheimer’s? A simple question right? Well, not as simple as you might think. Let’s start with Dementia. Dementia is not a specific disease but a term used to describe a wide range of symptoms associated with a decline in memory or other mental skills (Alzheimer’s Association, 2013; Dementia, 2013). It is not just the usual forgetfulness of walking into a room and forgetting what you went in there for (did that) or not being able to recall what you ate yesterday for dinner (that one too). “Dementia is a symptom of brain dysfunction” and is severe enough to impact one’s ability to perform everyday activities (Alzheimer’s Association, 2013; Morris, 1996). For example, having trouble doing things that take planning, like making a list and going shopping, using or understanding common words, or getting lost in places you know well. These are signs of dementia (WebMD, 2013). Dementia affects people in different ways and has various stages. Unfortunately there is no single test for dementia. Physicians use multiple strategies to determine the severity including a physical exam, asking questions about recent and past experiences (relying heavily on friends and family to check details). conducting simple memory tests and brain scans. For example, a health care provider may ask a patient to repeat a series of words or draw a clock face. There are over 70 different causes of dementia, including Lewy body disease, Huntington’s disease, infections that can affect the brain (such as HIV/AIDS), and Alzheimer’s (which is the most common cause of dementia for persons over 65) (Alzheimer’s Foundation of America, 2013; Morris, 1996). Alzheimer’s is a progressive, degenerative disease that attacks the brain’s nerve cells “resulting in loss of memory, thinking, language skills and behavioral changes,” which are also symptoms associated with dementia (Alzheimer’s Foundation of America, 2013). The term “Alzheimer’s” dates back to 1906 after Dr. Alois Alzheimer, a German physician, who presented the first case history of a 51-year-old woman. “A brain autopsy identified plaques and tangles that today characterize Alzheimer’s disease” (Alzheimer’s Foundation of America, 2013). Although clinicians can now diagnose Alzheimer’s with up to 90% accuracy (using methods similar to diagnosing dementia), Alzheimer’s can only be “confirmed” through autopsy, when pathologists look for the characteristic plaques and tangles in brain tissue. “In the absence of a biological marker for Alzheimer’s… diagnosis remains in the hands of the clinician” (Morris, 1996). Columnist Rick Nauert (PsychCentral, 2011), says that “misdiagnosis of Alzheimer’s disease and other dementing illnesses appears to be relatively common,” as “diagnosing specific dementias in people who are very old is complex.” In a study conducted in Honolulu, Hawaii, researchers autopsied 426 residents and found that about half of those diagnosed with Alzheimer’s disease did not have sufficient numbers of brain lesions for that diagnosis and most of those who were not previously diagnosed with Alzheimer’s had sufficient brain lesions to explain the dementia. After finding this information and reading about the many other complexities surrounding dementia (symptoms) and Alzheimer’s (a disease that can cause dementia), I realized that I was not the only one confused (Gardner, 2011). My cliff notes explanation, dementia is a syndrome (group of disabling symptoms) that has multiple causes and Alzheimer’s is a disease, that can cause dementia (Dementia.org, 2012). Gardner, A. (2011). Health Magazine. Half of Alzheimer’s Cases Misdiagnosed. Retrieved on March 12, 2013 from http://news.health.com/2011/02/23/alzheimers-misdiagnosis/. Mark, JC. (1996). Classification of dementia and Alzheimer’s Disease. Acta Neurologica Scandinavica. Supplement 165:41-50. Join us for a real-time discussion about questions raised by this essay on Wednesday from 12:00 p.m. to 12:45 p.m. See Discussion and SL tabs above for details. Link to the virtual meeting room: http://tinyurl.com/cjfx9ag. Holidays bring extended time with family. That is expected to be a good thing, but it can be stressful. It may be particularly stressful if you have relatives or friends with Alzheimer’s disease. 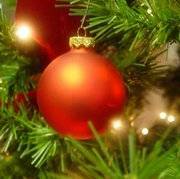 I found a few interesting resources from caregivers to help you hold your emphasis on love during the holidays. These two blogs had a few simple helps. This is a short entry as too many ideas get lost in the rush. Bask in moments of mindfulness and reflection during the last few weeks of 2011. 2012 is coming soon and my Mayan calendar is warm to the touch and beginning to vibrate. One wonders what the new year will bring? Alzheimer’s disease is the dark cloud on the horizon and it has no silver lining. There is no cure for Alzheimer’s disease and no way of preventing it. Well, that’s true for now and it may not always be so. Twenty-five years ago there were no cures for AIDS, still are no cures, but people with AIDS can lead long and productive lives with the aid of current medical therapies. Perhaps Alzheimer’s disease will suffer a similar fate and we will either find a cure or a way to reduce it’s effects so that I can still write this column and make films. It’s a problem that needs to be treated before it appears. An interesting problem. Sort of like Schrödinger’s cat (en.wikipedia.org/wiki/Schrödinger’s_cat). Gardner, A. Gene mutation improves response to lung cancer, US News, 8-19-2009. http://health.usnews.com/health-news/family-health/cancer/articles/2009/08/19/gene-mutation-improves-response-to-lung-cancer-drug. Lazar, K. Alzheimer’s study probes drug to cut brain protein, Austin American Statesman, 12-2-2011, p. A25. Park, A. Decoding breast cancer, Time, 12-19-2011, p. 26. Sperling, RA, Jack, CR & Aisen, PS. Testing the Right Target and Right Drug at the Right Stage, Science Translational Medicine, 2011, 3(111), p. 111cm33. 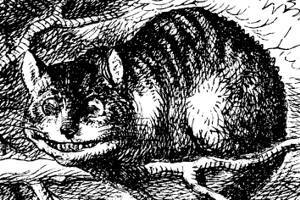 Image: The cheshire cat in Lewis Carroll’s Alice in Wonderland drawn by John Tenniel (1820-1914) in the 1866 edition. In the public domain. There is an exceptional film, Strangers in Good Company (http://www.imdb.com/title/tt0102993), that deals with seven older women who find themselves stranded in the Canadian outback and need to fall back on survival skills to hang on until someone finds them. What is remarkable about this film is that we just don’t expect old ladies to be much at roughing it and dealing with the rigors of survival. That’s for big guys like Grizzly Adams and Paul Bunyan, right? Well, you know it appears there are a lot of myths about old people. An article in my local Wimberley View by Barbara Rosen (November 5, 2011) explores a number of myths about aging that are worth pondering. Do you think these are true? I’ll end up frail and disabled. I’ll need a hearing aid. I’m sure to get crotchety and withdrawn. I won’t be able to exercise in my 80’s. I’ll have no energy. And what’s the low down on these fears about my later years? 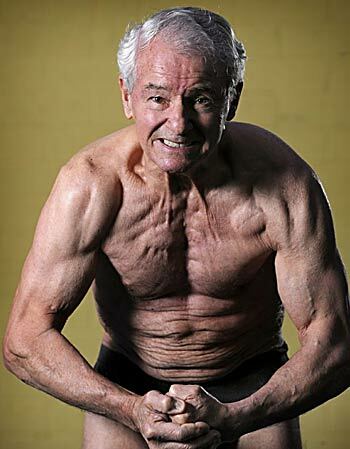 Getting frail and disabled results from disease not getting older. The majority of people who live to be 100 are able to live independently into their 90’s and 15% have no age related diseases. Only 35% of 80 year olds need a hearing aid. Personality does not change with age. Grumpy people were grumpy in their youth. Grumpy behavior can usually be traced to a disease like dementia or stroke. Cognitive abilities do decline, but aging in and of its self does not severely impair ability to live independently until well into old age. Again disease, like Alzheimer’s, plays the more significant role in cognitive loss. Research has shown that taking up exercise in one’s 70’s can improve heart function. Ninety is the new 70. I suggest for a refreshing look at what older people can do, check out Strangers in Good Companyand be pleasantly surprised.